Cervical nerves stem from the first seven vertebrae, C1-C7, of the spinal cord in your neck. Cervical nerves can affect motor function in both the upper and lower body. Cervical nerve injuries in the upper neck area, C1-C4, can cause paralysis of the lower body and in severe cases quadriplegia. 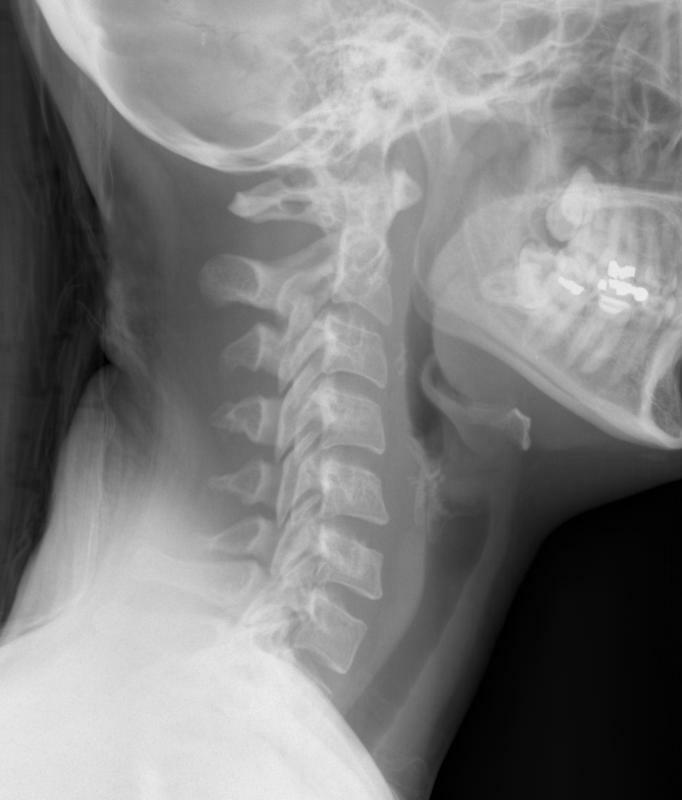 An X-ray of the neck, including the cervical vertebrae. Cervical nerves are connected to the muscles of the upper body and are among the most important in the nervous system. 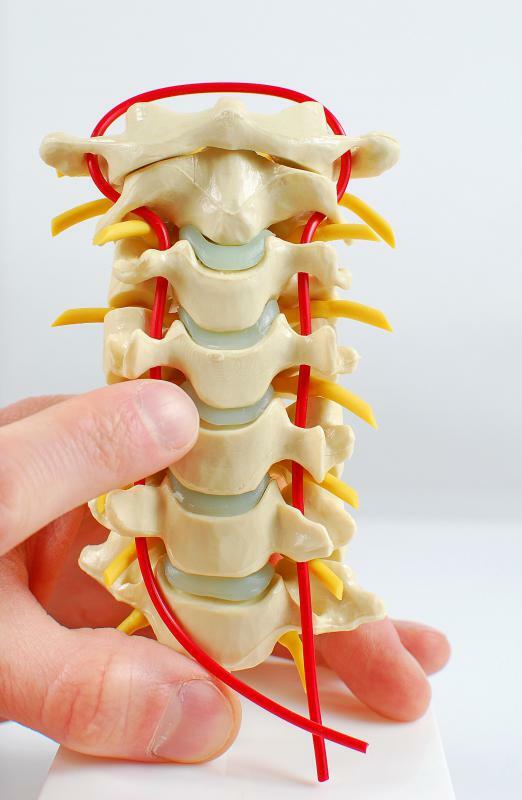 Cervical nerves are spinal nerves from the first seven vertebrae of the spinal cord. These seven vertebrae, called C1 through C7, begin at the base of the skull and make up the cervical spine in humans and most other mammals. There are eight cervical nerves, designated C1 through C8, with C1 through C7 emerging from above the cervical vertebra of the same number and nerve C8 emerging from below vertebra C7, the furthest from the skull. These nerves are connected to the muscles of the upper body and are among the most important in the nervous system. Each cervical nerve innervates — stimulates — part of the upper body. Beyond the spine in the peripheral nervous system, these nerves branch, split, and intertwine. C1 through C4 form a structure in the neck called the cervical plexus, while C4 through C8, along with the first thoracic spinal nerve (T1), form the brachial plexus. Therefore, a particular cervical nerve can branch into multiple parts of the body, and a particular part of the body can be connected to more than one cervical nerve. The head and neck are innervated by cervical nerves C1, C2, and C3. The thoracic diaphragm, a sheet of muscle across the lower rib cage essential to respiration, is innervated by C3, C4, and C5. Nerves C5, C6, C7, and C8, along with T1, split into a series of branches that innervate the arms, hands, and shoulders, as well as some muscles in the thorax. Some of the nerves that branch off include the great auricular nerve, lesser occipital nerve, and transverse cervical nerve, which provide sensation on different parts of the head and neck, as well as the ansa cervicalis, which connects to the muscles of the neck. The phrenic nerve controls the diaphragm. Nerves connecting the cervical spine to the arms, shoulders, and hands include the radial nerve, ulnar nerve, and axillary nerve. 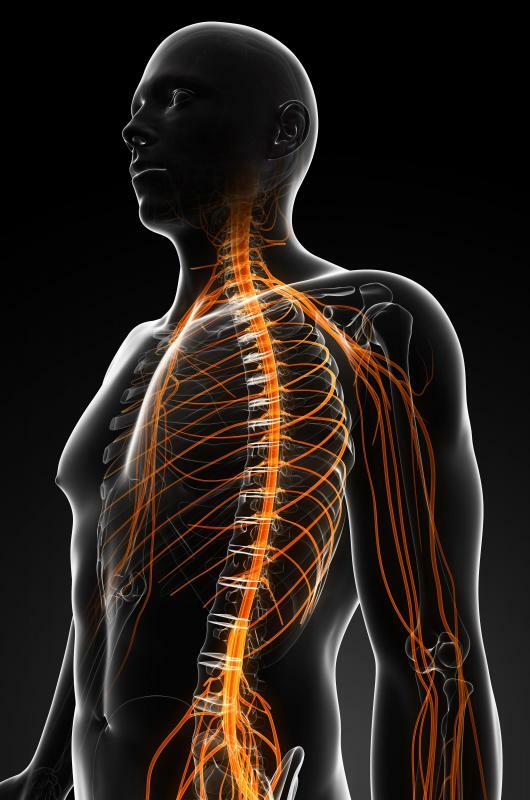 The cervical nerves are essential to sensation and motor control, and damage to them caused by disease or spinal injuries can result in partial or total loss of feeling and mobility in the upper body. It can also affect the autonomic nervous system in the torso, resulting in problems with digestion, respiration, and bowel and bladder control. 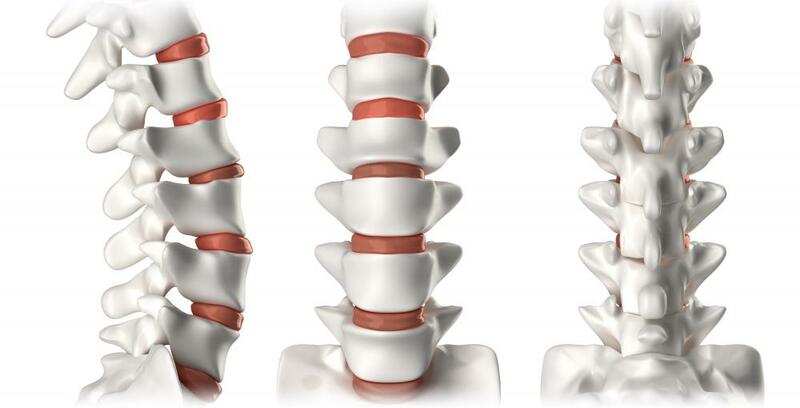 Injuries at higher vertebrae generally cause greater impairment than injuries at lower vertebrae, and sufficient damage to the higher nerves can result in total quadriplegia — loss of use of all the limbs and the torso. The importance of the thoracic diaphragm to respiration means that a person can no longer breathe independently if the spine is severed above C3, although he or she can be kept alive by a respirator.